Ada’s Technical Books in Seattle has sold out. Folks in Australia may be able to get copies from Dymocks Camberwell, and folks in Canada might be able to find copies at the Centre for Inquiry—Canada in Toronto. The only books I still have in stock are some of the 100 signed and numbered copies from the first edition. To help more people get these books before the holidays, I’ve dropped their price from $100 to $50. Here’s the link to the Backerkit store. Link to personal Backerkit store. A second edition is in the works. 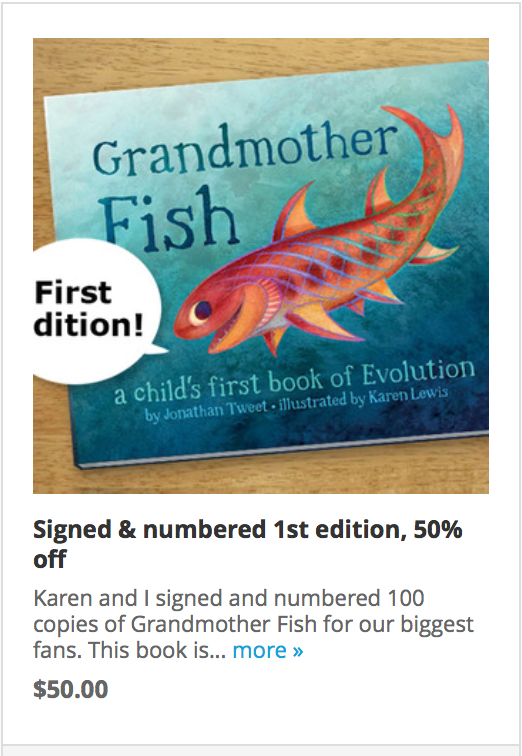 Thanks for your interest in Grandmother Fish.